For over four decades, Blue Öyster Cult has been thrilling fans of intelligent hard rock worldwide with powerful albums loaded with classic songs. Indeed, the Long Island, NY-based band is revered within the hard rock and heavy metal scene for its pioneering work. Blue Öyster Cult occupies a unique place in rock history because it's one of very few hard rock/heavy metal bands to earn both genuine mainstream critical acclaim as well as commercial success. BÖC's canon includes three stone-cold classic songs that will waft through the cosmos long after the sun has burned out: The truly haunting "(Don't Fear) The Reaper," the pummeling "Godzilla," and the hypnotically melodic "Burnin' for You." The band is often cited as a major influence by other acts such as Metallica, and BÖC was listed in VH1's countdown of the greatest hard rock bands of all time. 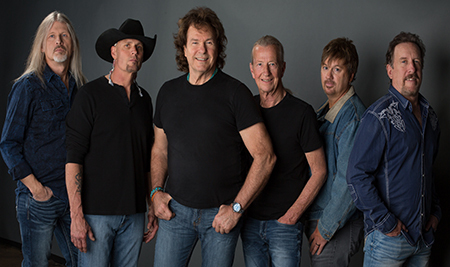 Joining BÖC is Tampa band, The Outlaws, known for their triple-guitar rock attack and three-part country harmonies. For The Outlaws, it was always about the music. For 40 years, the Southern Rock legends celebrated triumphs, endured tragedies and survived legal nightmares to remain one of the most influential and best-loved bands of the genre. Now, The Outlaws return with new music, new focus and an uncompromising new mission: It’s about a band of brothers bound together by history, harmony and the road. It’s about a group that respects its own legacy while refusing to be defined by its past. But most of all, it’s about pride. Their hits include "(Ghost) Riders in the Sky," "There Goes Another Love Song," "Green Grass & High Tides," "Song for You," and more.